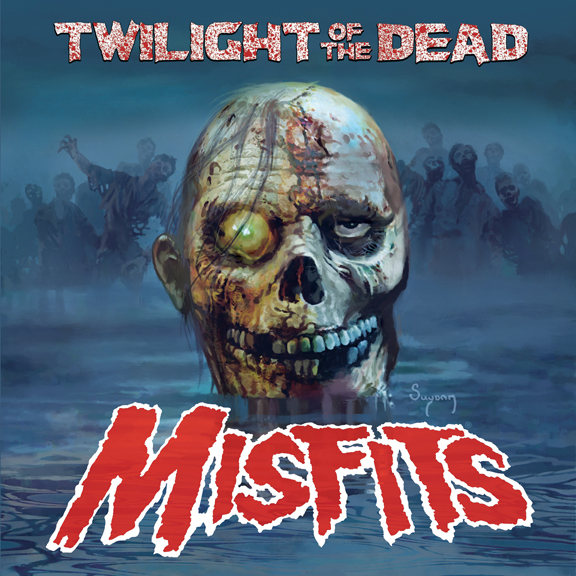 Early 2009 Single Versions of these songs (featuring Robo on drums in his final recording with the Misfits), were released on the “Land of the Dead” 12-inch maxi-single in 2009, (featuring a green variation of the cover art, and “Land of the Dead” as the title track on Side A). The 2011 “Devil’s Rain” album versions of both tracks are included on this Ltd. Ed 12-inch maxi-single with a blue variation of the cover art, and “Twilight of the Dead” as the title track on Side A. 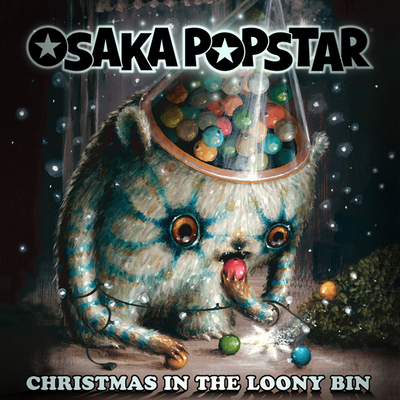 Like “Land of the Dead” and “The Devil’s Rain” the cover art was rendered by Arthur Suydam (Marvel Zombies) with art direction by John Cafiero. The 1st pressing on clear Blue vinyl offered an approx. 1-in-10 chance at finding a rare clear blue w/ red blood splat variant inside the blind assortment. 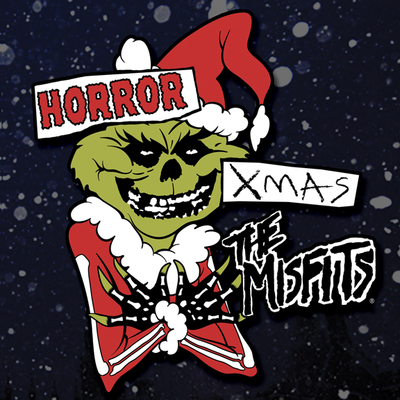 A Glow-in-the-Dark vinyl edition was also pressed as an exclusive to the Misfits Records online store. A special Ltd. Ed. 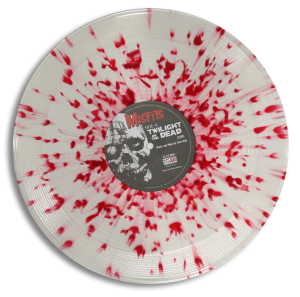 variant on clear blood splattered vinyl were pressed in 2011 an edition of only 150 with less than 138 pcs made available exclusively to fiends attending a Misfits Records signing event on Oct. 1st, 2011 at the Hollywood Forever Cemetery in Los Angeles, CA. 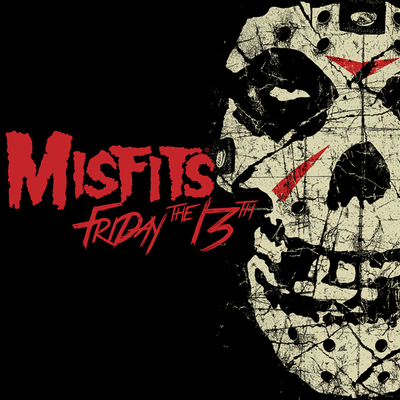 The few remaining copies were sold exclusively on a first come, first served basis in the Misfits Records Online Shop. All editions had long since SOLD OUT until the “Twilight of the Dead” 12-inch maxi-single returned in 2016, re-pressed in a new Ltd Ed variant vinyl color-way: Opaque DEEP PURPLE with BLACK transitional haze. 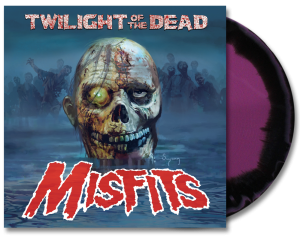 Pressed in an edition limited to 150 pcs worldwide, this special vinyl variant was not sold in stores and available only from Misfits Records Online. 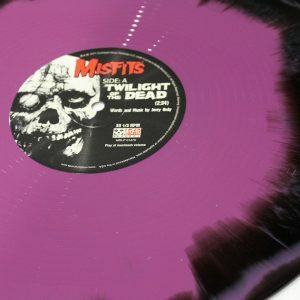 Coinciding with the 2016 online exclusive edition, the“Twilight” 12-inch returned to record shops worldwide, for a limited time, in a new retail exclusive pressing limited to 400 pcs on Translucent Purple Vinyl w/ Opaque White Splatter.